The thunderous waters of the Huilo Huilo waterfalls are nestled in a lush green setting between the deep blue waters of mountain lakes and sit at the feet of snow-capped volcanoes. Remember that waterfalls in Chile are called saltos. 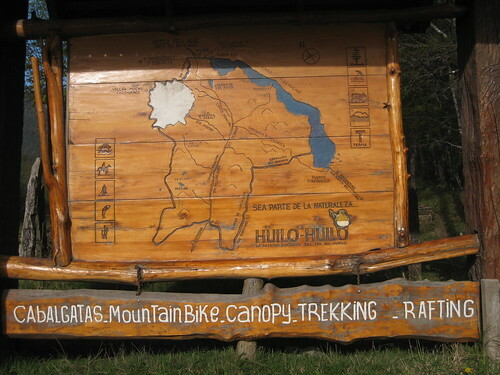 The name Huilo Huilo comes from the native Mapuche’s language meaning “deep crack” or “crevasse”. 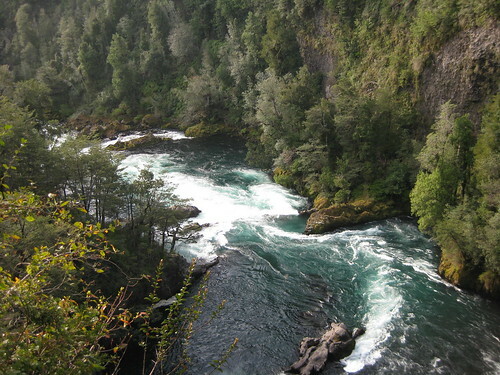 The drive to the Huilo Huilo waterfalls in itself is worth the effort and time. You’ll drive past gorgeous views in every direction. South of Pucon in Southern Chile is an area called the Seven Lakes (Siete Lagos). 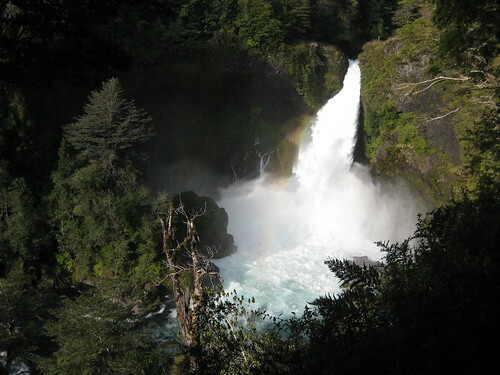 Your best route to the Huilo Huilo waterfalls is through Panguipulli. 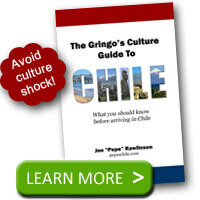 Follow the road South from Panguipulli along the eastern edge of Lake Panguipulli until you reach the town of Choshuenco. Turn left and head East towards Neltume. Look for the entrance to the falls on your right. The waters of the Fuy river have carved a narrow channel through the rocks above the waterfall. This seems to accelerate the water and propel it over the edge of the cliff. The resulting Huilo Huilo waterfall is a loud and amazing array of nature’s power that drops over 120 feet (37 meters). The constant flow of the pounding waters soaks the pool and surrounding rocks at the base of the falls. These slippery rocks grow green with lively moss and are surrounded by ferns. A glance downstream and you’ll see the river meandering through some rapids and lapping against the river bed’s edge framed with towering evergreen trees. Take a short 15-minute hike from the large Huilo Huilo falls and you’ll find the Puma waterfall, which is wider but shorter than its larger Huilo Huilo neighbor. The vibrant jungle flows with wildlife and diverse flora. As you hike through the park, be sure to enjoy the beauties around you. How Much Do the Huilo Huilo Waterfalls Cost? 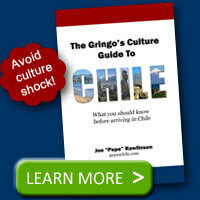 Admission to the falls costs about $2,500 Chilean pesos or about $5 USD per person. During the summer months, you’ll also find arts and crafts for sale near the ticket booth. As you enter the park, look for the large wooden gateway which houses the ticket booths. You can park your car nearby and then pay cash for admission to the park. Follow the instructions and signs down a well-maintained hiking trail to scenic overlooks where you can admire the waterfalls. The roar of the waterfalls is ever-present and will guide you as hike down the trail along the top of the gorge’s edge. The area has extensive hiking trails and places for picnics if you’d like to stop for a snack.